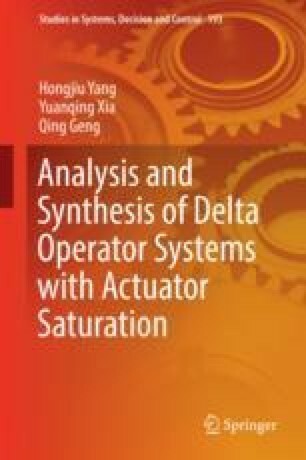 A number of methods for estimating the DoA and properties of a null controllable region have been presented for continuous-time and discrete-time systems with actuator saturation [47, 52, 108] and the references therein. Some properties of the null controllable region have been presented for DOSs with actuator saturation in the previous chapters. It has been shown in  that a boundary of the DoA under a saturated stabilizing linear state feedback is a unique stable limit cycle of its time-reversed system .